Islamabad : PDP President Mehbooba Mufti on Wednesday hoped that Prime Minister Narendra Modi will initiate peace talks with Pakistan if he gets elected for the second term after Lok Sabha Polls 2019. The former Jammu and Kashmir Chief Minister said that her father had a similar ideology when they made an alliance with BJP in 2015; but the saffron party failed to make the most of the golden opportunity by not holding any talks with Pakistan on the Kashmir issue. "That is what Mufti thought. He knew that a BJP prime minister, who has support of Jan Sangh, the RSS and Shiv Sena, if he wants to make use of the opportunity, then he can talk to Pakistan like (former prime minister Atal Bihari) Vajpayee,” she told reporters here. Her reaction came after Pakistan authorities showed interest in holding peace talks with the government of India that comes to power after General Elections. 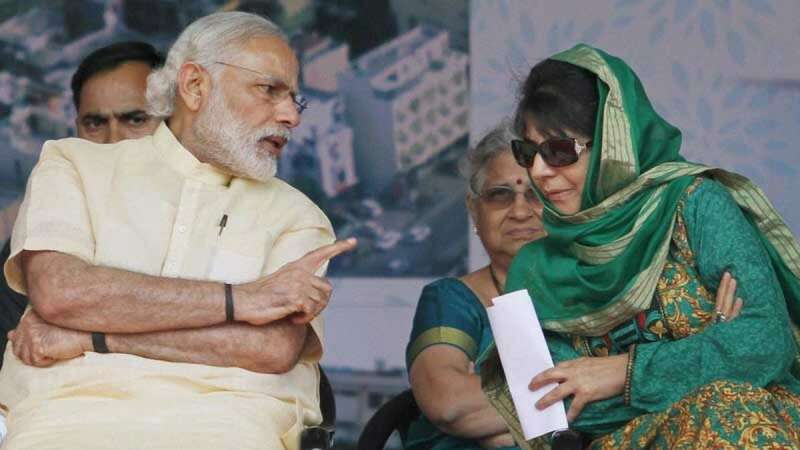 “Now, if Modi gets re-elected, then like Imran Khan, we too hope that he starts a dialogue with Pakistan and Modi makes full use of another opportunity,” Mehbooba Mufti said. Interecting with international journalists in Islamabad, Imran Khan said, he believes there may be a better chance of peace talks with India and settling the Kashmir issue if Modi's party BJP wins the general elections.